In the year 2009, Porsche inaugurated an impressive automobile museum in the PorschPlatz Stuttgart square, with this, the mark with the horse of Stuttgart on the shield, has created an architectural symbol, It shows 80 of the best and most well-known vehicles of series and racing cars. 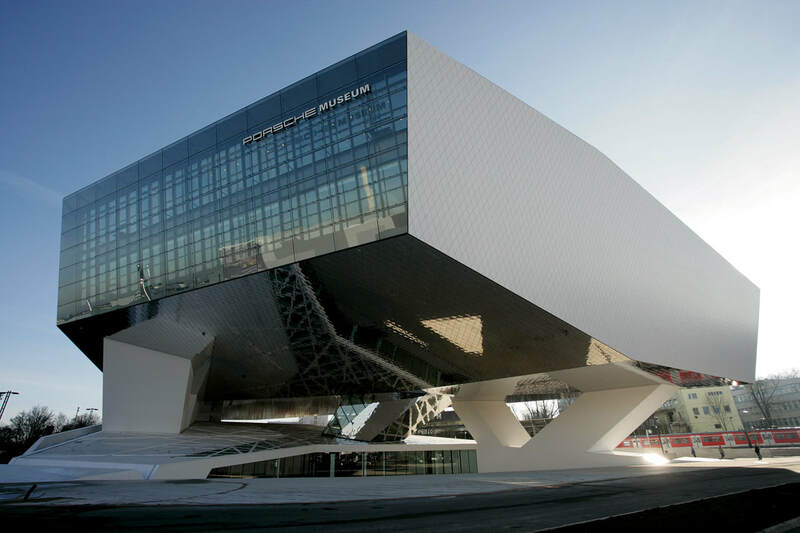 The Porsche Museum annually shows several special exhibitions on topics related to the brand. The Porsche company has always been well known for its impressive and fascinating automobiles. This Stuttgart sports car brand has undoubtedly developed one of its most spectacular architectural projects in this Museum of Stuttagart Zuffenhausen. When they planned this sensational structure, they thought of designing a building that would reflect the importance of the creativity and authenticity that is part of the identity of their cars. The Porsche brand represents dynamic designs, and this is totally visible in this building. Customers look for something unique never seen before. In photographs and plans it looks like an impossible building, but the brand represents challenges to be met. Upon entering the building visitors use long stairs, the impressive exhibits are more than 80 vehicles and many accessories that represent the history and development of the brand, also shows a tribute to its creator Professor Ferdinand Porsche in the 20s, The Beetle , another one of its constructions also has a place of honor in this museum. Exhibits within this museum may vary as the administration tries to update the presented models for its visitors.